“We’ve raised our kids and we still love each other." Vicky Piper and her husband, Jeff, have been married 25 years this September and have raised two children. As of this month, they are officially empty nesters. Vicky, who lives in Ohio, told BuzzFeed News that her daughter, Caitlyn, left home last year to study in Sydney, Australia. Last week, they dropped their son, Cameron, off at Saginaw Valley State University, where he will be studying and playing football. Vicky said a lot of their friends and family have contacted them since Cameron left home, hoping to check in and see how she and her husband are handling their now-empty nest. The answer? Vicky said she and her husband are actually pretty pumped and did not "grieve" their new status. "We’re really, really good," she said. "Yes, we are sad to see him go, but we had a confidence he will do well, and it's our turn now." After two decades of raising kids, she said she and her husband are excited to make new memories together. “We’ve always loved each other so much that we have been looking forward to this," she said. So how did they celebrate? In true 2018 fashion, with a photo shoot, of course! 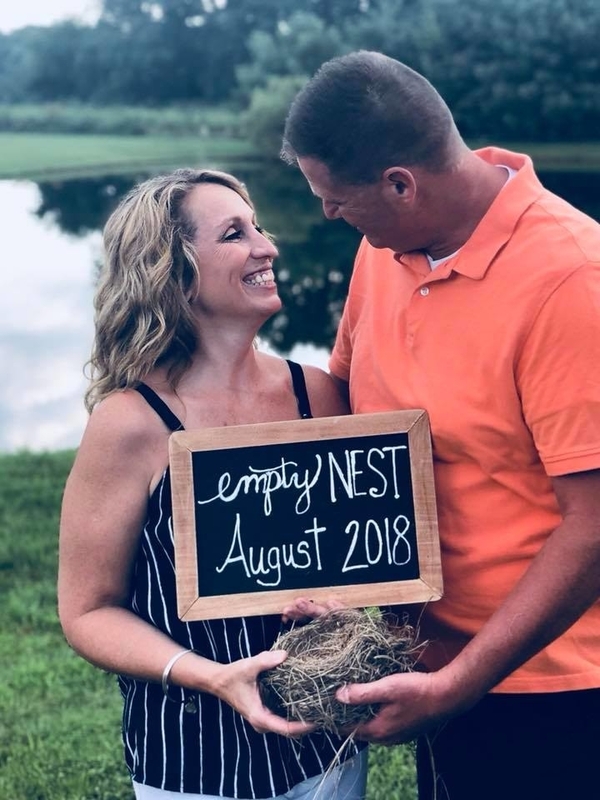 Vicky said her husband actually came up with the idea to do a photo "announcement" of their new status, in true millennial fashion. She even got a chalkboard and wrote a date on it to be "reflective of what young people are doing." The couple then asked a friend to take the photos outside their church to "celebrate the milestone as parents." “We’ve raised our kids and we still love each other," she said. "20 years ago we didn’t have gender reveal parties, portraits in beautiful fields with baby shoes to announce a pregnancy. Nor did we have baby photos on a blanket with a circle around a number showing how old they were. We drove our babies to sears or Olan Mills to get their photo📸😂😂!!!!! People totally loved it and it has been shared almost 40,000 times. Vicky said the whole family, including her kids, have been blown away by the response. “They love it," she said of the kids, saying they did add, "You guys are celebrating too much that we’re gone." 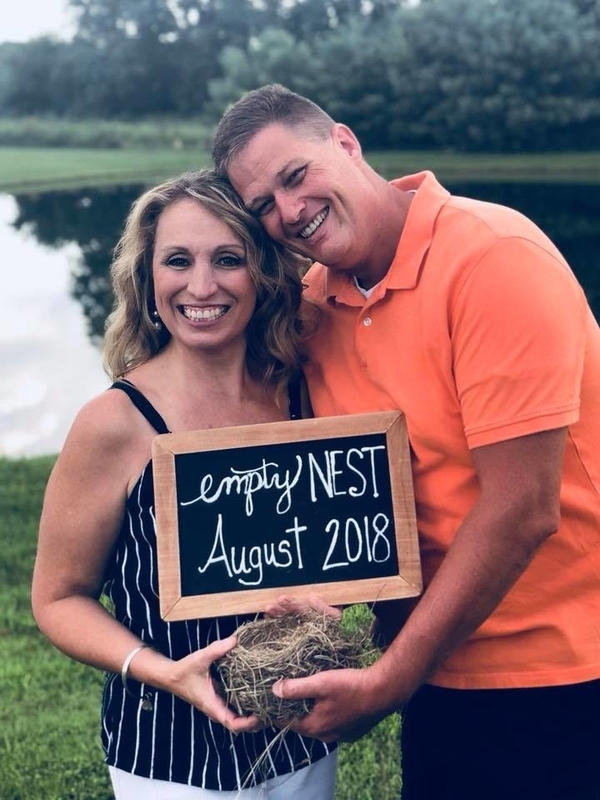 Enjoy your empty nest, guys!